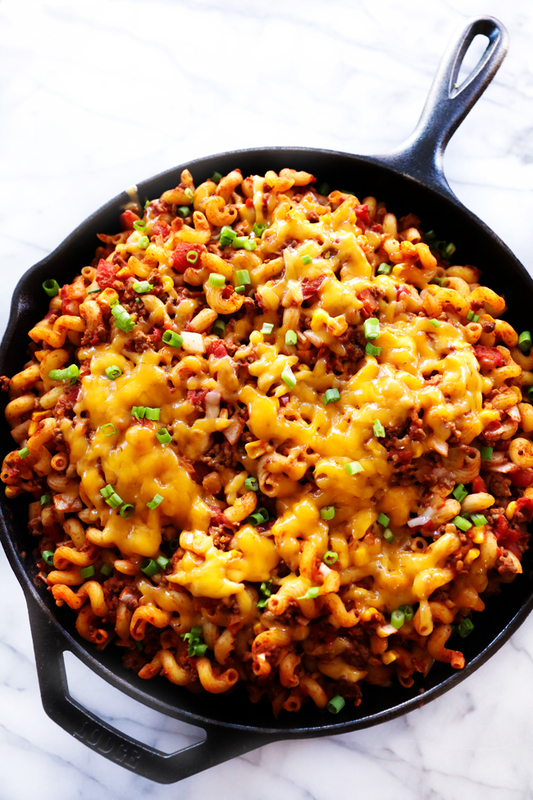 This Taco Mac and Cheese is so easy and is such a delicious meal. It is loaded with spice, beef, pasta and a variety of tasty ingredients. This recipe is so simple to throw together and will become a new regular on the dinner line up. Getting life together post-Thanksgiving has been quite the go around. Breaks and family time are my absolute favorite and it was hard getting back into gear. The next few weeks aren’t going to slow down either. When life is in full swing and the hustle and bustle is real, I need dinners that cram it all into one dish. Something that pleases all of my family. Mac and cheese seems to be a common denominator between my kids so I like to dress it up when I can. 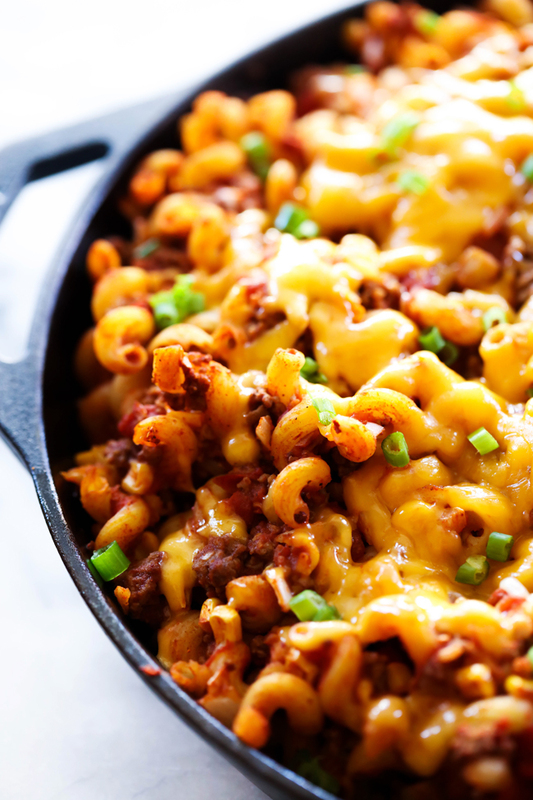 This Taco Mac and Cheese was a total winner! In a large skillet cook ground beef and onion until done. Drain fat. Add water, taco seasoning, green chilies, tomatoes, corn, and salt. Bring to a boil and then reduce heat to medium low. Simmer for 10 minutes. Place cooked pasta in baking dish. (I don't always use all of the pasta, it is about 1 cup too much). Pour sauce over the top and stir well. Sprinkle with cheese and bake for about 20 minutes or until cheese is melted.